Did you know that you make passive income with your own photography blog/website? In case you wonder, making HONEST money online is real. Later, I’ll explain what these steps are and how you too can get FREE access to the platform that changed my life – with NO credit card required. Believe me, having extra passive income is awesome. And I’m sure you’d love that too. My name is Zarina and I’m the founder of Digital World Beauty website. While I had an interest in photography, back in 2015 I also started exploring online opportunities to make extra cash. I will try to be short here, but basically, in my life there was an unfortunate incident. An accident that affected my life in a massive way. I had to have an orthopaedic surgery and had multiple bones broken. 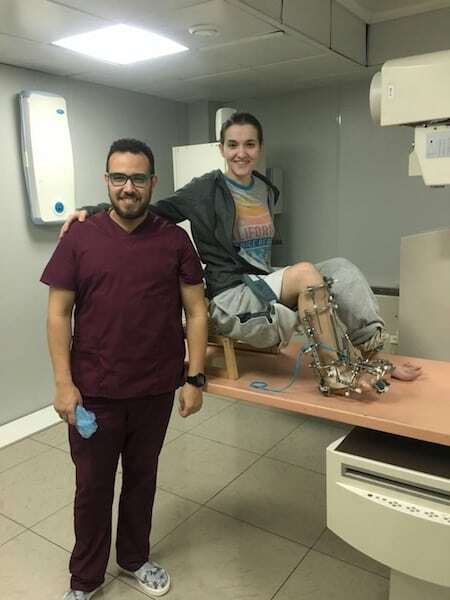 I couldn’t walk AT ALL for MONTHS. I swear didn’t leave house for like 1.5 years. And if I did it was to see my surgeon for a check up. Seriously. Luckily, now I can walk (rather slowly) but I’m still in the post-surgery recovery period. See the image below but don’t let that smile fool you. I was literally crying my eyes out EVERY. SINGLE. DAY. for 3-4 months straight. Earning income with photography in its traditional sense was out of question. But I still needed to make a living and ideally with something that brings me happiness. I put on my thinking cap to find a way to make money with photography WHILE staying at home. I knew that people make legit money online with blogging/affiliate marketing. And that’s what I decided to do. Building a website around my interest in photography not only brought me income but also saved me from falling into deep depression post-surgery. All thanks to Wealthy Affiliate. How to Build a Money-Making Website Business? So, how is it possible to make money online as a blogger/website owner? There are many ways to make money online but in a nutshell, as a blogger I provide information that people are searching for on the internet. And I get paid to do so. Let’s talk about this more using photography as an example. First of all, any business starts with an idea. You decide that photography is what excites you and this is what you want to write about. Most likely you go with a more specific niche like “portrait photography” or “drone cameras”. You then build a beautiful website. Not to worry, no technical skills required. In fact, the website building process is extremely SIMPLE within Wealthy Affiliate. Having a website is what connects your with the online world. Think of it as your “storefront” for your business. Once you set it up, your photography-related blog will be working for you 24/7/365. It doesn’t require your presence. In other words, your website is your asset. It’s your real estate in the Internet world. By providing amazing content on your website (that’s related to your niche), you attract new visitors who appreciate what you have to say about photography. The more traffic you get, the higher is your potential income. Like I mentioned before, you get to earn income from your site’s traffic. 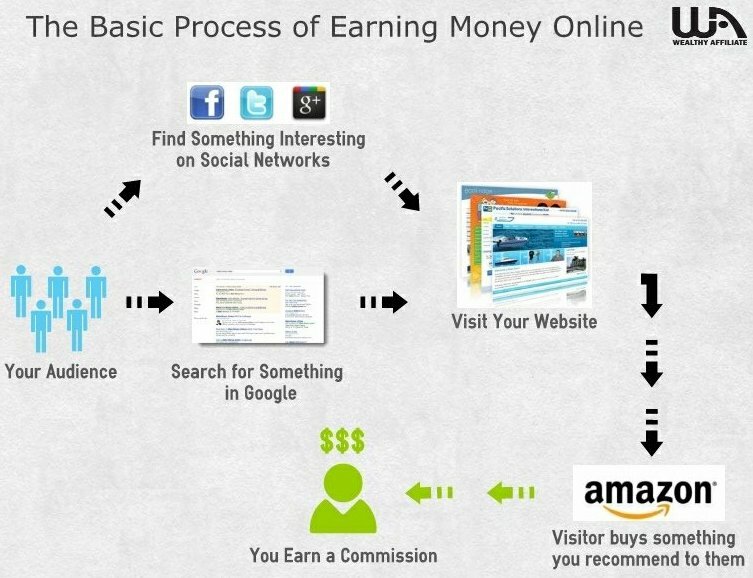 Affiliate marketing is what I do on a few sites of mine. Write quality content that gets ranked in search engines. Let’s say that on your website you write about what’s in your camera bag. When Internet users find your article through Google/social media and click on your, let’s say Amazon product recommendation, then you get commissions. You never feel like you are a sleazy salesperson, instead you are helping people to find what they are looking for. 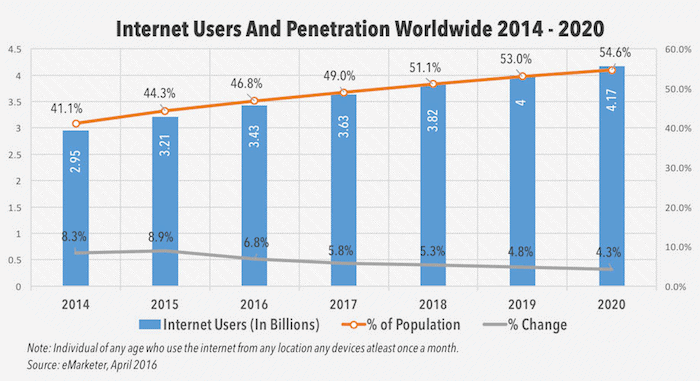 There are over 4 BILLION Internet users as of 2019. Can you just imagine the HUGE potential of content creation? Your goal is to find your passion/niche, create your own niche website, become an affiliate for major companies, and incorporate their links on your site. The beauty of having an online business is that there is no limit on how much you make online, it all depends on YOU and your efforts. How to Get Started the Right Way, Today? If you want to know how to use the Internet to make money and have proper guidance, then there is only ONE program I highly recommend. Basically, at Wealthy Affiliate training centre you will have ALL the support, tools and training needed to succeed online. It’s 100% FREE to test-drive an ENTIRE platform! You don’t even need to enter your credit card info. You have a life-long free membership. Totally risk-free in every sense. 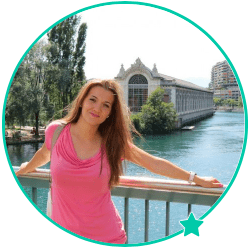 I will automatically be assigned as your free private coach, so I will be able to guide you around within community and offer my personal experience to help YOU succeed online. Whenever you’ll need help, I’ll be there. I think a lot of amateur and professional photographers will buy a domain name and have a website sometime down the road in their career. However, there are so many web hosting companies to choose from. Wealthy Affiliate is great as a host. With a free membership, you get 2 websites free. And if you’re a Premium member, they do allow you to host 25 websites with a single account. It does cost $300 a year, but most VPS hosting plans would easily cost that, too. But, the online training, support, and the community is really worth it. However, one thing that a lot of people don’t really understand is that you need to get traffic to a website. Otherwise, no one will really see your website and it won’t help make you any more money. I would recommend putting your photography website in stock photography sites that you sell your images on. If people like your photographs they will click on your profile and then your website. I do have a question for you though. Are there any WordPress themes or plugins that you recommend for photography websites? Yep, I’m sure many photographers will realize that it’s important to have their own website to expand their reach. But not all websites are same. Some websites are more like “business cards”, some are photo-blogs showcasing their best works, and some are affiliate marketing websites in the photography niche. The last one is what I was talking about on this page, and something that I truly believe will help photographers build passive income over time. I agree, Wealthy Affiliate offers great hosting, tools and support needed to achieve success online. By the way, are you aware that WA changed their pricing plans for Premium members? In any case, what I like about Wealthy Affiliate is that people can test-drive an ENTIRE platform for FREE. I feel it’s important for fellow photographers to know what their options are and if this is the business model they want to choose, cost and risk-free. Traffic is important. Traffic = $$$. No matter how great your content is, if you don’t know how to attract visitors, it’s pointless. Luckily, this is exactly what Wealthy Affiliate teaches us. I’m using a simple theme because my website is more text-based than photo-based. All-in-One SEO, sitemaps and EWWW optimizer are definitely a must. And if we’re talking about photo-blogs, then a plugin like Envira Gallery is often recommended. If it’s a WordPress theme for photo websites, then Soliloquy is great. Thanks so much for stopping by and sharing your thoughts with us, Garen! Much appreciated. Hey Zarina, great idea to build a website around our passion and make some residual income to either build a business of its own or supplement the main photography theme. You mention selling as an affiliate but what if I want to sell my own products? A mate of mine has a printing works and I was looking into getting my photos printed onto T-shirts or cushions for example. We have done a few prototypes and the process works well we were just wondering about how to promote and get the products out there. Was leaning towards a facebook page but now that I have seen this I’m wondering about the prospects. Have you any thoughts on how to move forwards? … these are the ones that are off the top of my head. In your case, I believe the easiest/faster way would be selling via Amazon FBA (fulfillment by Amazon) because Amazon already has millions of customers and it’s great at conversions.